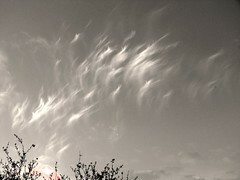 Welcome to part 3 of connecting with your Spirit Guides. This article will give you some really effective techniques for developing the clairs, clearing stuck energies and receiving clear guidance when you need it…Guidance on tap! I’d like to begin with exercises to strengthen your predominant or preferred clair. Let’s take a look at claircognizant, including empaths as an empath can be seen as a seperate type. Part 1 and Part 2 can be found here. I’ve had quite a busy weekend working to catch up on my business as my 7 year old was off sick from school most of the week. By Sunday night I was so ready to switch off the computer but I had a page still to build on my Spirit Guides Coaching. This is a post I have wanted to write about for a while now however something was stopping me. I’ve since come to realise that a lot of what I do is not everyone’s cup of tea. When you spend as much time as I do on building a business and doing a lot of left brained stuff then it’s easy to keep quiet about some stuff but today I’m going for it. Some people say, “Oh, I’m not intuitive.” Or, they’ll insist, “Psychic ability is for weirdos and quacks.” The thing is that intuition is a very normal, natural, human type of thing. I believe that the divine has blessed everyone with intuitive gifts. Intuition is really a choice. You can choose to live intuitively or not. If you don’t think that you are intuitive, consider that you simply might be choosing not to live that way. Or, you might not be listening (intuitive insights come when you’re relaxed and open such as through meditation, dream time, or just hanging out). Napoleon Hill Had A Few Of These, Do You? 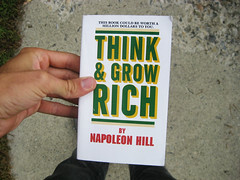 The wonderful book that has been in circulation for decades Think and Grow Rich by Napoleon Hill is a timeless classic. It is a book I could read over and over again. His principles teach how to think like the rich, how to tap into the power of the subconscious and rise through adversity to name a few. I’m sure most of my readers will have read this classic and I’d like to remind you of the last principle in the book. Do you know who you are at soul level? Do you know the origin of your soul? You may be an earther through and through, you may be a star traveller from one of the many star systems and planets in the universe. We all have a soul history, purpose and gifts. Is Your Mindset Spyware Running? Have you ever wondered what would happen if you could change your mindset? Can you imagine the possibilities, they would be endless. On the other hand, have you ever wondered what would happen if you turned off your spam filters and disabled your computer spyware? Yeah, just imagine what you would be bombarded and faced with constantly. In this post I’d like to give a shout out to all WAHM’s. Trying and succeeding in juggling everything can be tricky at times, that’s putting it mildly ladies right? One of my challenges right now is ensuring I spend quality time with my 7 year old even when there’s a ton of stuff still to do. Guidance…Where Do You Get Yours? We are all unique beings and so is the guidance we receive. The phrase ‘Inner Guidance’ is being banded around quite a lot nowadays as our spiritual evolutions is speeding up. Guidance is one of the most wonderful gifts we as human beings have been given and it can serve us tremendously well if we follow it. So many people ask me how they will recognise guidance when it comes, then they want to know if it is Spirit Guides, Intuition, God, Ascended Masters or their subconscious mind. Does Your Intuition Bring Out The Heroine Within? The million dollar question is right there. We all have intuition, we all have those hunches or flashes of insight however not all of us act upon it. To live a life totally guided by intuition is like mountaineering without a map or a good idea of weather conditions….IN THE BEGINNING. I’ve mentioned before how it is wise and kind on yourself to take small steps in the beginning and not to switch off the left brain. Intuition is something to develop and cultivate, to embrace and explore at a pace comfortable for you.